Tribeca Lab Theater presents TITANIC - A Folk Rock Opera LIVE Aboard The Lightship Frying Pan 2012-06-09 TITANIC-A Folk Rock Opera will sail as part of the 2012 undergroundzero festival! Honoring the 100th Anniversary of the sinking of the Titanic, Tribeca Lab and Ten Directions re-mount the folk rock musical. 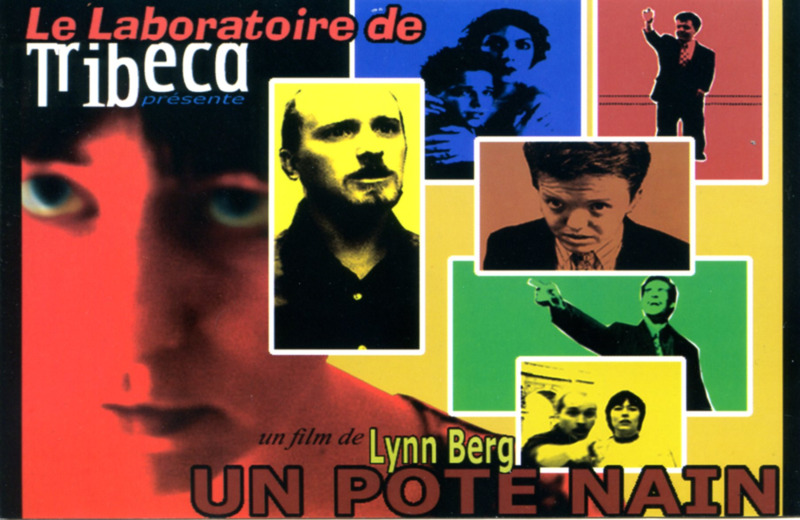 The trailer from our short, "un Pote Nain," a faux French movie about chasing the American Dream. Produced with Tribeca Lab. Music by Miriam Daly. Lynn Berg, Audrey Crabtree, Nick Colt, Ethan Crough, Miriam Daly, Eric Davis, Charles Loflin, Gregory Maupin, Diane Specioso, Al Ramos, Stuart Rudin. This is a short clip from the feature length film "Life in Bed" Directed by Nick Lindsay. I was the Director of photography for the film. We shot just about everything in a loft in Brooklyn, greatly aided by the fabulous production design skills of Linda Keil. We shot on 35mm film on an Arri 35BL. We took an adventurous approach to just about everything, including shooting through colored gels with projected slides backgrounds. The first chapter of Dirty Twin, a contemporary retelling of Euripedes' The Bacchae. Produced by Tribeca Lab, Ten Directions, and Sessuegarry Productions. For more information go to www.dirtytwin.com. This chapter's cast features Michael O'Neill, Saudia Young, Lenore Howard, Audrey Crabtree, David McCamish, Catherine Taylor, Aimee German, Adam Lake, Doug Donald, Audrey Lewis, Sonia Scott-Martin, Barbara Thomas, Glenn Gray, Melinda McEndarfer, Queen Wolf Berg, Miriam Daly, Terri Ann Glynn, Andrew Vladeck, Tom Soppe, Geraldine Moloney, Sherley Burgess, Tom Dusenbury, John Jimenez, Doreen Dolce, Jen and Dave Farahat, Al Ramos, Michael Bruno, Lynn Berg and Shira Etzion. Music by Miriam Daly. Special thanks to Helen and John Kemp for the use of their farm and to Al Kramer for the use of his '55 Chevy. The second chapter of Dirty Twin, a contemporary retelling of Euripedes' The Bacchae. Produced by Tribeca Lab, Ten Directions, and Sessuegarry Productions. For more information go to dirtytwin.com. This chapter's cast features Doug Donald, Michael O'Neill, Lynn Berg, Audrey Crabtree, Miriam Daly, Madeline Jaye, Rose Russo, Maggie Cino, and Queen Wolf Berg. Music by Miriam Daly. Our CinemaSports entry. The competition pitted filmmaking teams against each other to create a 3-minute-or-less short in 10 hours based on 3 thematic requirements (eat something yellow, a howl in the distance, mistaken identity). Jeff Campbell, Aimee German, Stuart Rudin.